I truly believe that each of us has all the answers we need inside of us but how do we access that? If I was to sit down and try to access my “wisdom” all I’d hear would be thoughts, so I have a few tricks that help me side-step my overthinky brain and tap into the part of me that’s far wiser than the face I show the world. It starts with a piece of paper and a pen. Without a doubt journaling is one of the fastest ways to get to know who you are on the inside. You can use paint and collage, write gratitude lists, use prompts and keep five-year diaries — and all of that is fantastic — but the method I return to again and again is the simple act of writing stuff down, stream-of-consciousness style, in a notebook. I write the date at the top of the page and then scribble down whatever is on my mind. It might end up being three pages of hormone-fuelled angst or a paragraph outlining an idea that came to me over breakfast. I don’t journal every day but I’ve made it my practice to check in with myself in my journal at least once a week, usually more. I don’t write anything particularly profound — most of my journaling reads like a messy brain dump. Getting into the habit of journaling — however that looks for you — is the doorway to accessing your inner wisdom. In that way it’s a bit like meditation: for the first few minutes after I’ve closed my eyes I’m like a dog trying to get into a comfortable position. My neck suddenly itches, my hands feel cramped. My head immediately fills with everything I must do and my monkey mind starts jumping around. But after a few minutes of letting myself settle, things quieten down and I can bring my focus to the mantra, if I have one, or I simply ‘sit back’ in my head and pay attention to the space inside me (best way I can describe it). If I’m lucky that’s the point when I start to feel more connected to the bigness of everything, but even if I don’t get there, I still feel calmer when I eventually open my eyes. So if we translate that into journaling, first you get everything out of your head onto the page. Concerns, worries, half-baked ideas, preoccupations. He said this, she said that. The what ifs? The resolutions. Get it all out. And then keep writing. Start asking the questions and see what you come up with. Once I’ve dumped everything out of my brain I find it’s much easier to start looking at things from a different perspective. Sometimes I’ll keep my notebook by my side all day, adding more notes as they occur to me. What started as chaos in the morning might look very different by the evening. Another journaling technique I use a lot is letter writing. You can write letters to people, places, things, feelings — anything and everything, really — but it’s especially powerful when you write a letter to yourself as yourself. Try writing a letter as your future self, one year older than you are now. Or five years older. Or as your 80-year-old self. What does she have to say? 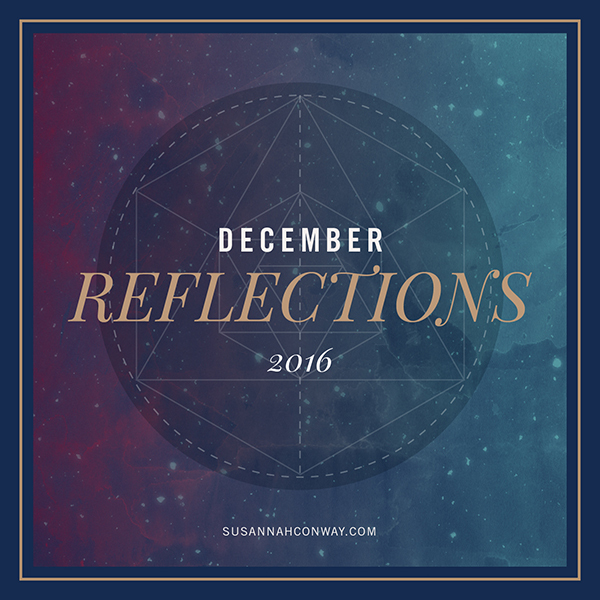 What clarity can she share about your current situation? I like to imagine that my future self knows a heck of a lot more about the world than I do, so when she writes me a letter I feel I’m accessing the part of me that’s wise and loving. Doesn’t matter that it’s the me of today who’s writing it — I’ll often read a letter back and wonder where did that come from?! Checking in with my inner wisdom and intuition is how all my decisions and plans are made these days. We live in a noisy world filled with people telling us what to do and how to live but the fact is nobody knows YOU like you do. You are the ultimate authority on your inner and outer world but it can be hard to hear yourself think let alone listen to anything more subtle! 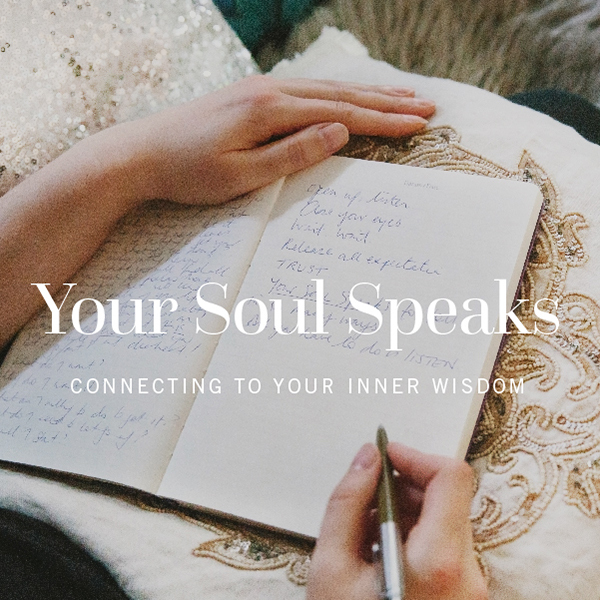 And intuition is really beautifully subtle, so I’ve created a new course to help you not only hear your own inner wisdom but to act on it too. 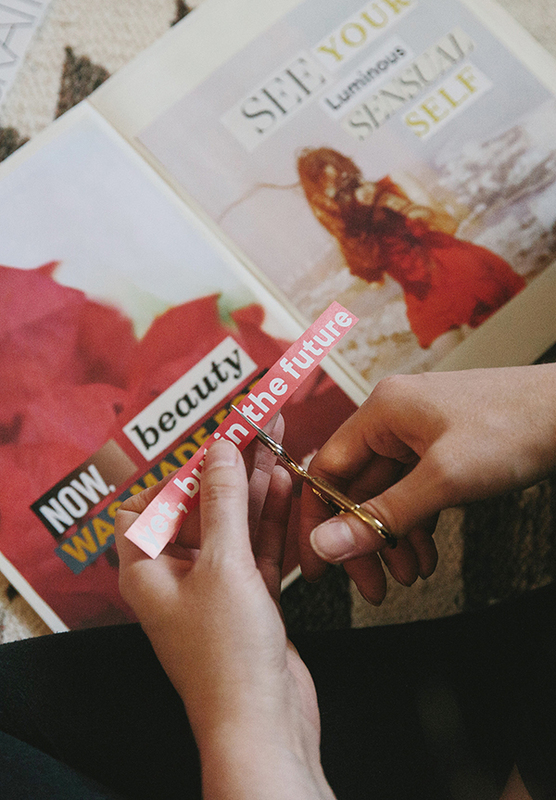 Think of it as your sense of knowing — just like your others senses it’s possible to strengthen your intuition through daily connecting and creative practices — and yes, journaling plays a big part in that! Your Soul Speaks feels like the next evolution in my teaching. In all my courses I want to empower you to be able to know, trust and express yourself better. It’s time we tune in to ourselves to become fully empowered to steer our own ship. A world full of people who trusted and followed their inner guidance would be a world that changed overnight! And it starts with us. 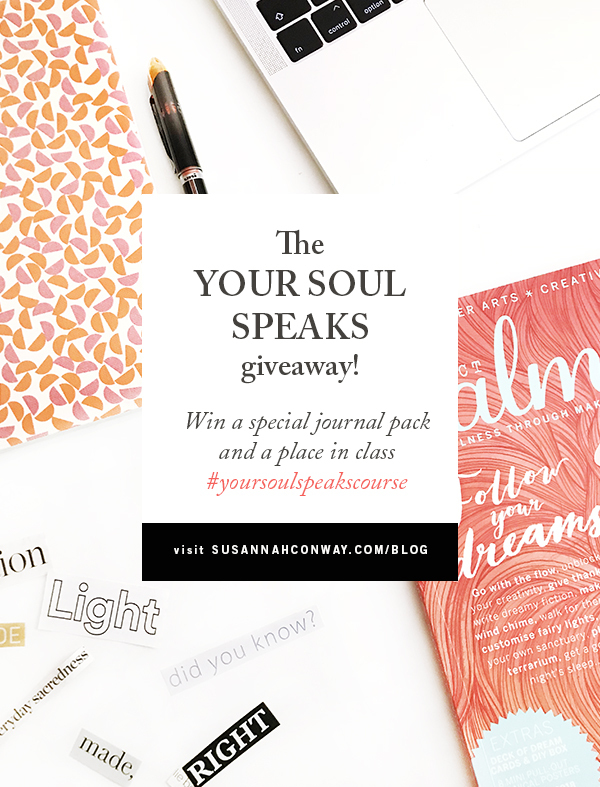 To celebrate the launch of Your Soul Speaks I have six special journal packs up for grabs! Inside each pack is a gorgeous OLA journal, a copy of Project Calm magazine, a stick of palo santo and a pack of my absolute favourite incense. There will be 12 winners in total — 6 peeps get a journal pack and a place in class PLUS! another six peeps will also get a place in class. I’m happy to mail the packs anywhere in the world, so this giveaway is open to everyone. * This is an excerpt from my most recent Love Letter. 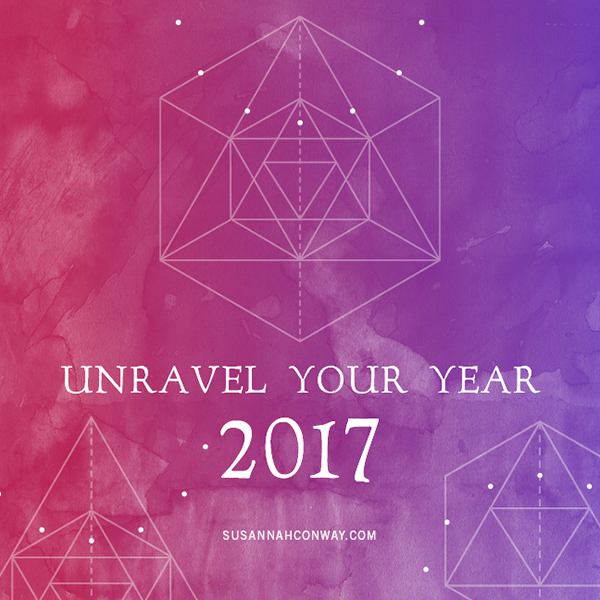 There’s still plenty of time to download the Unravel Your Year 2017 workbook and join the Find Your Word course. Let’s start this year as we mean to go on! 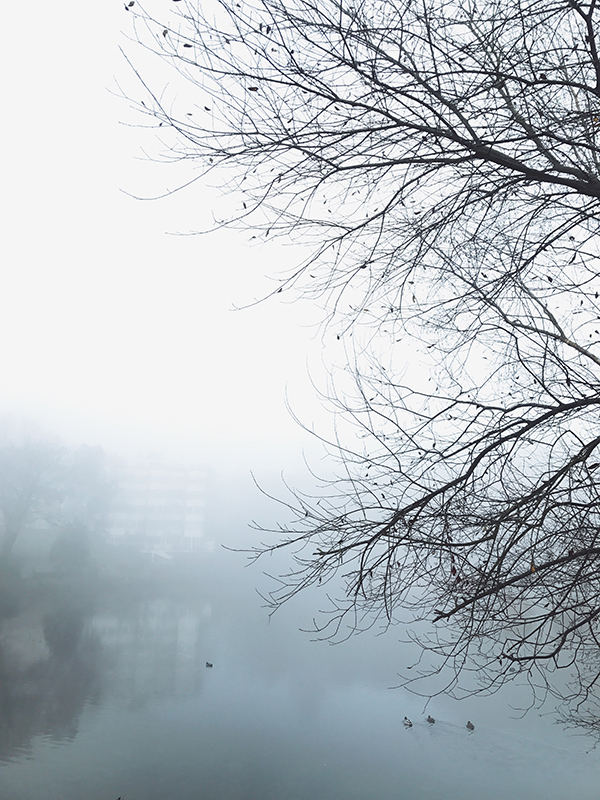 For the third time this week my corner of London is shrouded in heavy fog — it’s like being in a cloud which is exactly what this week’s felt like. I love the liminal space between Christmas and New Year. I love how everyone is a little slower, a little smilier, a little more reflective. Even though it’s been a hard year for so many of us I’m feeling at peace with 2016. There have been political shocks and terrible things happening in the world; much-loved celebrities have passed on and people continue to do unspeakable things to each other. And yet, now I am on the other side of my baby nephew’s month in hospital, I am slouching towards 2017 with gratitude in my heart. Thankful that Sammy is still here, with his very first tooth and on the verge of crawling just like any other baby, unaware of what he has been through and what is still to come. Thankful that his big brother, Noah, wanted to spend Christmas Eve sleeping in my room so I got to have the first cuddles when he woke up on Christmas morning. Thankful that I was able to pay my corporation tax in a timely manner and that my business continues to support me as a single and very independent woman. Thankful that I have fresh food my fridge. The big and little things of life. 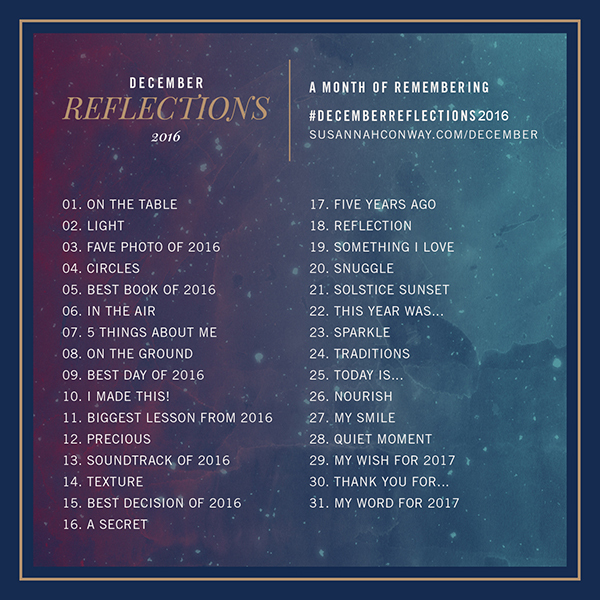 It’s been a deeply emotional year, much more than I’d expected. I’d known for a while that my word for 2016 would be LOVE but it did not manifest in the ways I’d initially hoped — and with hindsight I’m glad. LOVE was falling for Elizabeth’s dog, Ollie, and deciding to move house so I could find my own. LOVE was being my sister’s birthing partner. LOVE was feathering my new nest. LOVE was looking after Noah full-time while my sister and her precious baby son were in hospital without a diagnosis. LOVE was putting my life on hold for six weeks while we waited and hoped and prayed. LOVE was being selfless. LOVE has taught me so much about HOW to love this year. I’m not sure I could have made it through without it. And so I am here on December 31st cracked wide open. I’m sick, of course — I always get sick at this time of year — but it almost feels like a clearing out of the old to make space for the new. My word for 2017 is SEEN. After a year of devoting my energy to my family I’m ready to step back out into the world and be SEEN: in my work, in my relationships, in this next iteration of my life. Have you chosen a word yet? I am so wildly in love (there’s that word again) with this practice and I cannot recommend it highly enough. 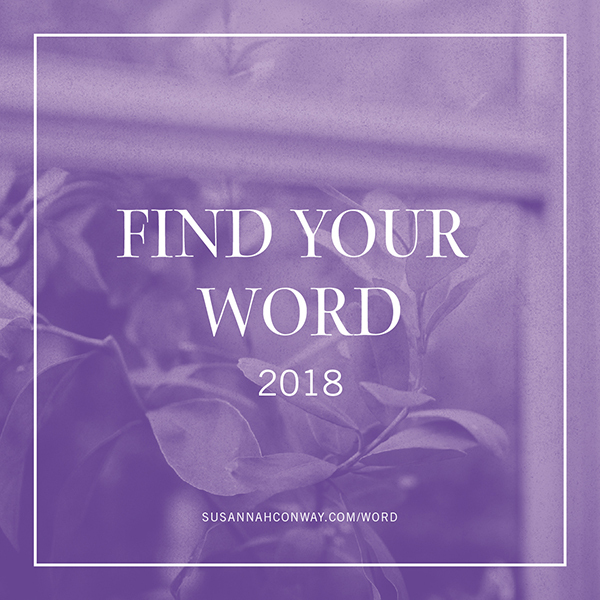 There’s been some really deep and insightful sharing in the Find Your Word Facebook group so if you’d like to join us you can sign-up for the mini course over here. 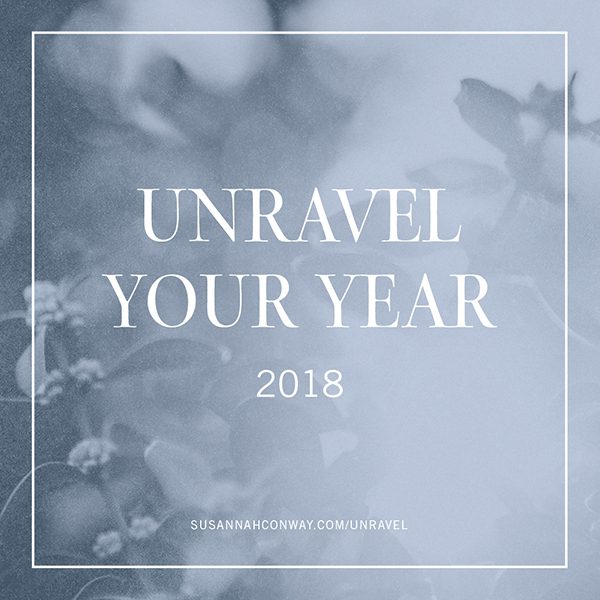 This time last year I was in Providence, Rhode Island, curled up on Elizabeth’s chair by the window, laying out a few tarot cards as I journaled my hopes for the coming year. This year I’m in a new home but back in my NYE ritual of cards, journaling, a long bath and clean sheets, my favourite way to welcome a new year.